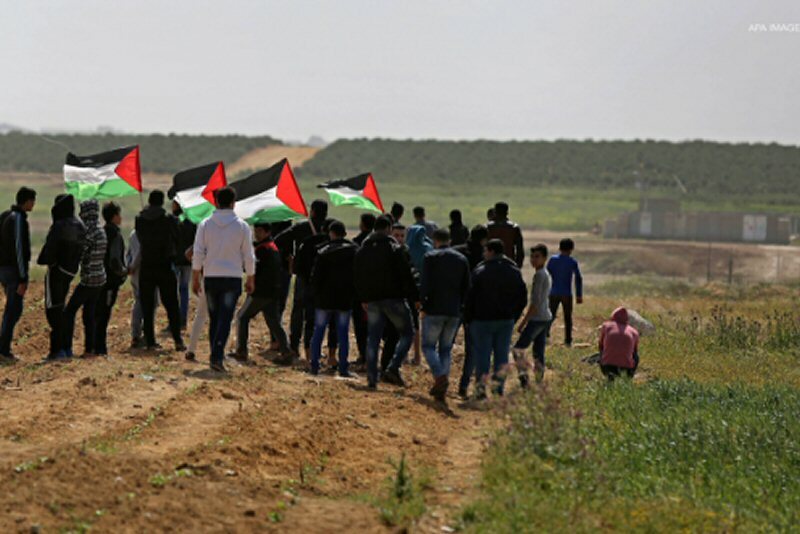 The Great March of Return – which began on March 30 and has not yet ended – has shuffled the cards and brought crucial questions to the fore regarding the essence of the Palestinian cause as well as the status of the Gaza Strip. Despite the bleak reality of life in Gaza, which Israel’s siege will, with international and local collusion, soon render uninhabitable, a new awareness is emerging. This new awareness is undercutting the long-dominant policies of the current right-wing leadership and the superficial “opposition” represented by what I call the Stalinist left – that is, both the Popular and Democratic Fronts for the Liberation of Palestine, the Palestinian People’s Party, the Palestinian Democratic Union and, to some extent, the Palestinian National Initiative. These parties have so far failed to emerge from their intellectual subordination to the now defunct Soviet Union and continue to depend financially on the right-wing leadership of the Palestinian Liberation Organization (PLO). In other words, they rely on the Palestinian Authority for their existence and are unable to forge independent and effective strategies. The Palestinian leadership has now submitted a referral to the International Criminal Court (ICC) claiming that Israeli officials committed war crimes and crimes against humanity against the Palestinian people. Palestinian leaders must go further: They must renounce the constraints of Oslo, including security coordination and economic subordination, and unequivocally embrace the BDS movement’s call. They should not enter any “negotiations” unless the implementation of Resolution 194 tops the agenda. They must ensure that any negotiations tackle the demand to end the apartheid policies against Palestinian citizens of Israel. Finally, the struggle for freedom, return, and self-determination for all segments of the Palestinian people is the concrete embodiment of inclusive national unity on the ground. This unity is not defined by two political factions, or by the so-called “two parts of the homeland” (that is, the West Bank and Gaza), but rather by the new collective awareness to which the March of Return and the BDS movement have contributed. Al-Shabaka Policy Advisor Haidar Eid is Associate Professor of Postcolonial and Postmodern Literature at Gaza’s al-Aqsa University. He has written widely on the Arab-Israeli conflict, including articles published at Znet, Electronic Intifada, Palestine Chronicle, and Open Democracy. He has published papers on cultural Studies and literature in a number of journals, including Nebula, Journal of American Studies in Turkey, Cultural Logic, and the Journal of Comparative Literature. Haidar is the author of Worlding Postmodernism: Interpretive Possibilities of Critical Theory and Countering The Palestinian Nakba: One State For All.